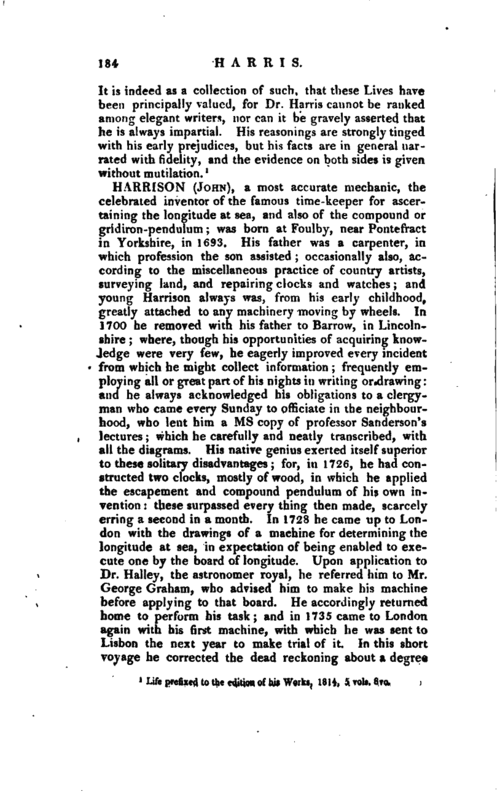 , a biographical compiler, was the son of a tradesman at Salisbury, who probably was a dissenter. 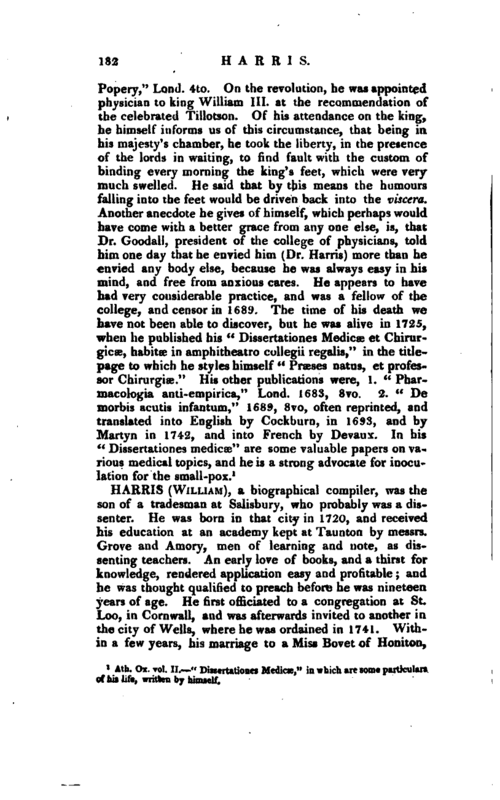 He was born in that city in 1720, and received his education at an academy kept at Taunton by messrs. Grove and Amory, men of learning and note, as dissenting teachers. An early love of books, and a thirst for knowledge, rendered application easy and profitable; and he was thought qualified to preach before he was nineteen years of age. He first officiated to a congregation at St. Loo, in Cornwall, and was afterwards invited to another in the city of Wells, where he was ordained in 1741. Within a few years, his marriage to a Miss Bovet of Honiton, | occasioned his removal to that town; and his ministerial labours for the rest of his life, were confined to a very small congregation at Luppit, in the neighbourhood. To what denomination of dissenters he belonged we are not told. The strain of his discourses is said to have been plain and practical, but none of them have been published, and he appears to have soon courted fame in a different pursuit. 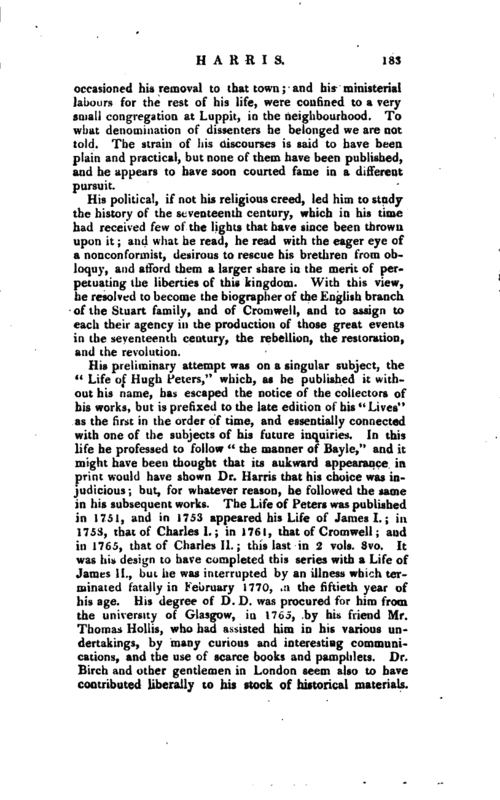 His political, if not his religious creed, led him to study the history of the seventeenth century, which in his time had received few of the lights that have since been thrown upon it; and what he read, he read with the eager eye of a nonconformist, desirous to rescue his brethren from obloquy, and afford them a larger share in the merit of perpetuating the liberties of this kingdom. With this view, he resolved to become the biographer of the English branch of the Stuart family, and of Cromwell, and to assign to each their agency in the production of those great events in the seventeenth century, the rebellion, the restoration, and the revolution.